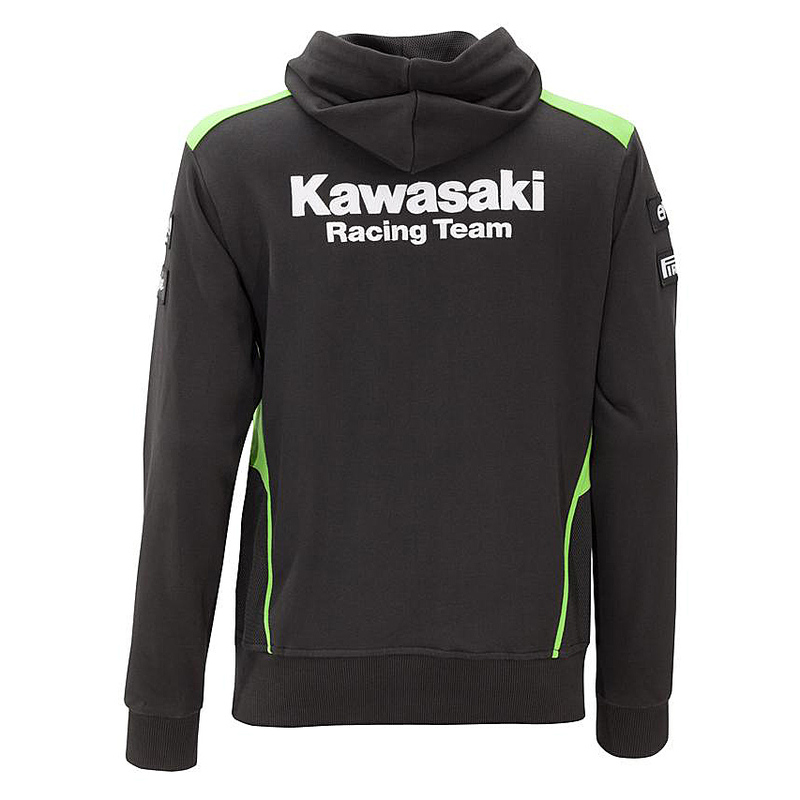 Keep cosy with this Kawasaki Racing Team hoody in 80% cotton and 20% polyester. 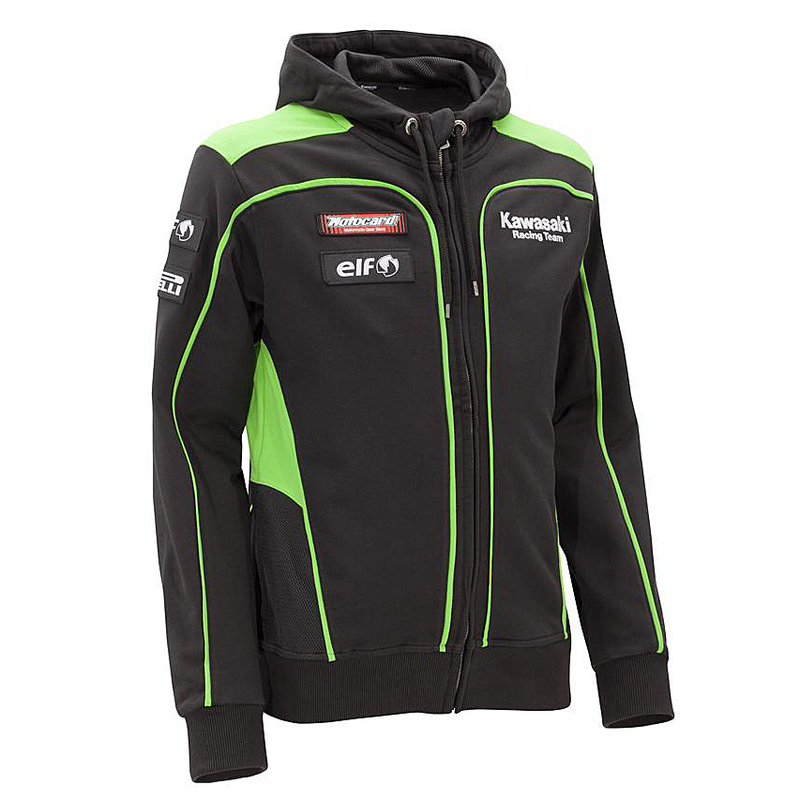 A bold, Kawasaki Racing Team logo decorates the rear with a smaller one on the left chest. Sponsor logos are woven patches. Kawasaki-green shoulder and vertical panels provide contrast, and the piping is the same trade mark shade. Ribbed cuffs and side pockets add extra comfort. Black-on-white Kawasaki Racing Team-embossed tape lines the neck area.